There are many varieties of pool. Despite this, many people think that the term is associated with only one type of game, where you must pot seven colored balls and finally the black eight. Blackball, especially popular in the UK and Ireland, is among the many types of pool. The rules of this game are very simple. On the table are game balls in two different colors. These are often red and yellow. Of course, if you do not have any such balls, you can play this variant with the traditional solids and stripes. The aim of the game is to pocket all the balls of your color before your opponent pots theirs. At the beginning of the game the balls are typically arranged in a triangle pattern ahead of the break. These balls are scattered using the white ball in break shot. The player who pockets the first ball to go down plays that color. For example, if, while scattering the red and yellow balls during the break, a red is the first to be potted, the player takes the red balls to the end of the game. If the player pots two balls of different colors, his second strike determines the color. Blackball is much easier compared with other types of pool, as it is not necessary to declare a pocket when striking balls. If you pot all the balls of your color, nothing remains but to pocket the black ball and thus defeat your opponent. However, if you pocket the black ball before all the balls of your color, it results in your immediate defeat. You should also be aware of fouls, which can result in your losing your turn. An interesting option for those who enjoy pool, and who want to try out new types of games, can be to play online. GameDesire is an excellent platform that gives you the opportunity to play four varieties of pool. You can choose "eight-ball", snooker, nine-ball and, of course, blackball online. So you can go ahead, try out all these varieties, and choose for yourself the most appropriate for you, or alternate your play to vary the fun. Blackball online at GameDesire offers extremely realistic game physics. The balls behave like on a real table, so you can learn a lot by playing online. Of special note is the ability to set the rotation. In this way, you can test different options for top-spinning the white ball to see how the resulting strike looks. This is certainly a skill that you will use at a later time. It is in fact no secret that the correct spin is sometimes the key to victory in a pool game. 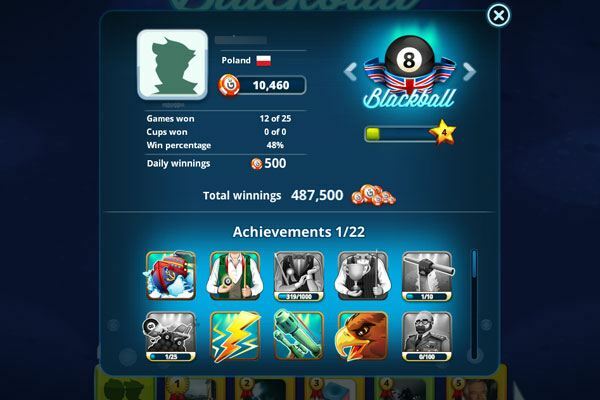 In blackball, as well as other pool games on GameDesire, you can play against real opponents from all over the world. This offers so much more fun and adrenaline. 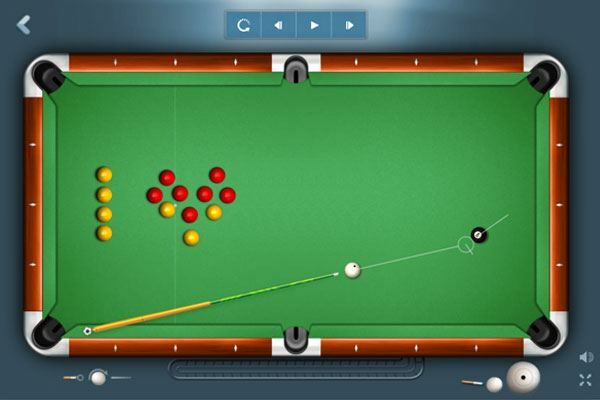 In each of the types of game you can unlock new levels, play for different stakes, or change the appearance of your cue or the table. The game is in this respect very attractive and will satisfy even the most demanding players. Due to the high popularity of GameDesire, you will find an appropriate opponent at virtually any time. If you have friends who also play at GameDesire, you will be able to invite them to join you and play together in your favorite game. If you enter a game directly, your opponent is chosen randomly. You can add players with whom you play exceptionally well to your group, and invite your friends to a game when they are online. 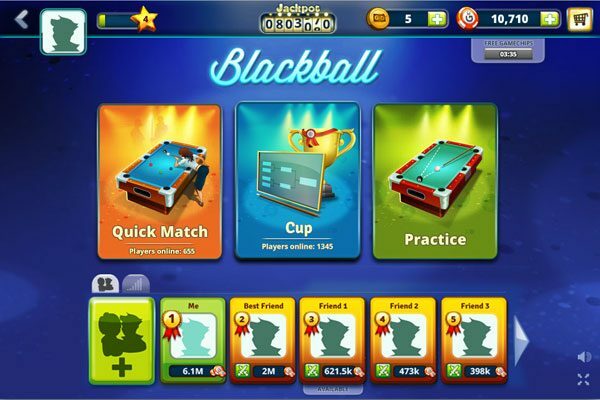 Blackball online and all other types of pool at GameDesire will certainly appeal to all admirers of this game. This is great entertainment providing pleasure in your leisure time. 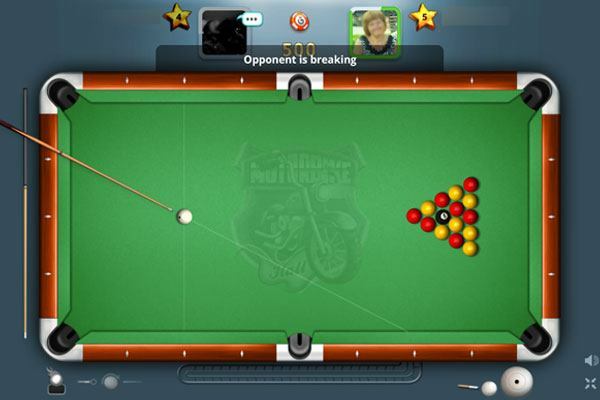 Mobile version games, available for smartphones, allow you to enjoy a game of pool in any place. Start practicing now and become a master of online pool games!